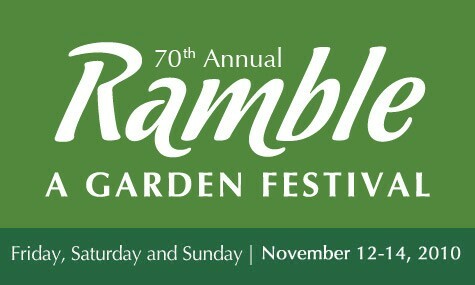 The 70th annual Fairchild Ramble is this weekend. If you haven’t been, it’s a huge, amazing event, with plant sales, food vendors, a calliope — and my favorite, the Farmer’s Greenmarket. Redland Organics will be there, of course. If you missed out on getting tomato starts at the Edible Garden Festival not too long ago, or you want to get more, you’re in luck. Farmer Margie will have smaller assortment of tomato plants, along with arugula and collard starts, flowers including tithonia (Mexican sunflower), and a varied assortment of organic fruits, vegetables and herbs. IMPORTANT — Redland Organics will NOT be at the Pinecrest Gardens Green Market this Sunday! But, Farmer Margie will be back the following weekend. Members may enter at 9:00 a.m.; Non-members may enter at 9:30 a.m. Admission: Free to Fairchild members and children 5 and under. Non-members: $25 for adults, $18 for seniors 65 and up and $12 for children 6-17. Eco-discount: If you ride your bike, walk or use public transportation, receive $5 off for adults and $2 off for children.